As electioneering reach fever pitch elsewhere in the country, there are few signs India's first cashless island is as excited. A couple of flags of BJP, a few posters North East India Development Party and some banners of Congress are the only signs here that show a political event is underway. 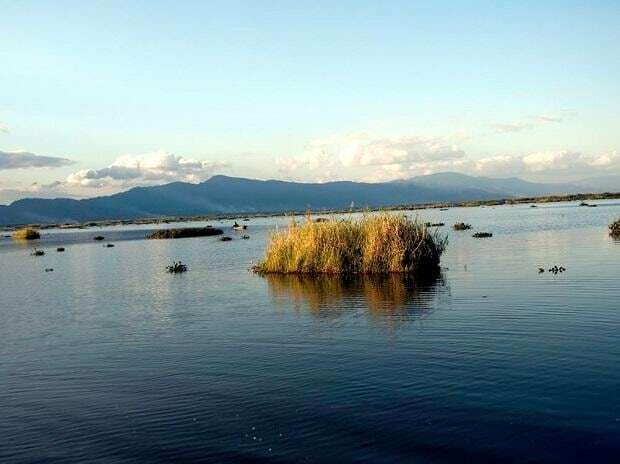 In January 2017, two months after demonetisation was announced abruptly, they enjoyed a brief moment in the Sun when Karang, located in the middle of Loktak lake, was declared the country's first cashless island. Babu is among three shopkeepers in the area who were given PoS machines. He said the machine wasn't registered in his name but given to him by a "facilitator" when the cashless drive had started. He received cash reimbursement from the facilitator for every transaction made through the device. "The PoS machine was meant more for tourists as locals here always make cash payments. The awareness of a cashless system is negligible here. It is of no use now," he told PTI. "Moreover, the machine often breaks down and it is not worth going all the way to Moirang (around 9 km) to fix it. That's why I have packed it and kept it in a corner of my shop," he added. Karang Island Cashless Promotion Society president Ningthoujam Indrakumar said, "It is a failure. Nothing is happening now." "Initially, training and awareness programmes were organised, but nothing happened later," he lamented. Last month, Deputy Commissioner of Bishnupur district, under which Karang comes, was awarded by Prime Minister Narendra Modi for making the remote place the first cashless island. "In absence of proper infrastructure to support digital payments, you cannot expect this to succeed here," Indrakumar said. According to him, out of the total population of nearly 3,000 in the island, only a few have smartphones, a key instrument for digital payments. It is yet to have a broadband connection. "Everyday, nearly 50-60 children from Karang take boats to the mainland to attend their school. They all pay in cash for the ferry. Even adults who have to go out of the island pay in cash," he said. Indrakumar, who is also a member of Karang Island Boat Association, said efforts were made to make at least the ferry payments digital as it "in a way served as the gateway to the cashless island" but it hasn't yielded results. At the island's Primary Health Centre, an official on duty who requested anonymity, said the fee of Rs 10 for an OPD card is accepted in cash only. "It is because that's the only way of payment that the locals know," the official said. "Unless the local economy develops, how can you think of a successful digital payments system here," he questioned. "Physical connectivity is also a major issue here. Even after laying the foundation stone for a bridge to connect Karang with Thanga years ago, nothing has happened," he said. He said it is clear that "everything was done to announce Karang as India's first cashless island and nothing beyond". "We are hoping that irrespective of who comes to power at the Centre after the general election, they follow up with a vision for development. Karang badly needs development," he asserted.